Why You Should Consider Outdoor Digital Displays For Advertising? It is the time of advertisement and to be more precise outdoor advertising! No business can stay longer in the race without proper advertisement. Outdoor LED displays are used for promotions of the businesses as they offer attention-grabbing displays. 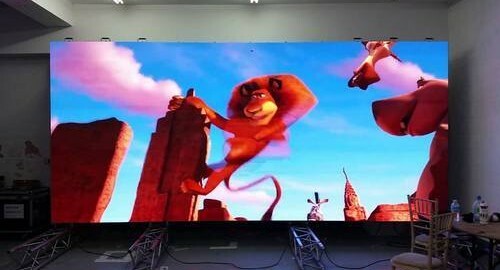 Well, you cannot ignore the fact that the outdoor LED screens instantly stops the passerby because of their amazing colors and attractive features. Even the ones driving stop for a while and check the content of the outdoor displays. You can also use the video promotions in order to attract more and more people and increase the conversion rate of the business. Moreover, the outdoor digital displays require less maintenance providing a better return on the investment. The traditional banners are getting completely replaced by the outdoor LED displays. Unlike other media, outdoor advertising does not need to be invited. Outdoor advertising is part of the environment and therefore cannot be shut down like television and radio. Viewers have no control over whether they see it, allowing your campaign to have a greater impact than viewers expect. Such is the power of the outdoor digital displays! No matter what the viewers will be attracted towards them. Outdoor advertising is an ideal form of advertising if you are looking to create instant visibility for your company. By creating billboards, logos or any other form of outdoor advertising, you can personalize and increase brand credibility. If a person repeatedly sees the same sign or billboard on the way to work, it will start sticking. This channel ensures that brand awareness will increase over time. Make your company outshine from other businesses by increasing the brand awareness with the use of outdoor LED displays. Outdoor advertising allows you to locate your audience in a specific town, city or crowd based on where your market is located. This effective method of advertising allows you to target specific demographics, ages, income and ethnic groups. It is known that kids love bright colors and cartoons so if your product is made for the little ones then you can use the outdoor digital displays to project the pictures of the amazing cartoon characters with your product. Similarly, different methods can be used to attract the people of different age groups. Some people don’t get time to view television in their homes because of their busy lifestyles. But can you stop people from seeing the outdoor digital displays? Well, No! The bright and creative outdoor digital displays are used to grab the attention of those people who don’t get enough time to view advertisements on televisions or listen on the radios. Outdoor LED displays are amazing ways to increase your brand recognition by reaching more and more people. Definitely, it is an engaging medium which increases the company’s ROI and brand visibility. Well, there is no other form of advertising which is more effective than the outdoor advertising. Use outdoor LED screen to reach more and more people and hence expand your business.